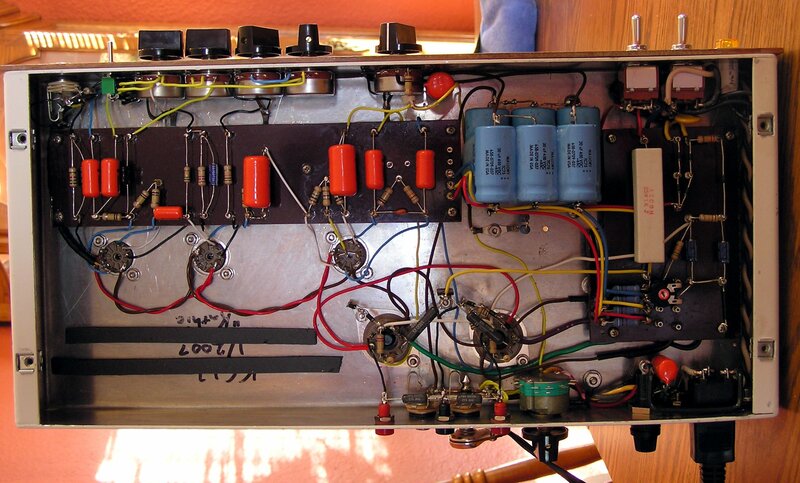 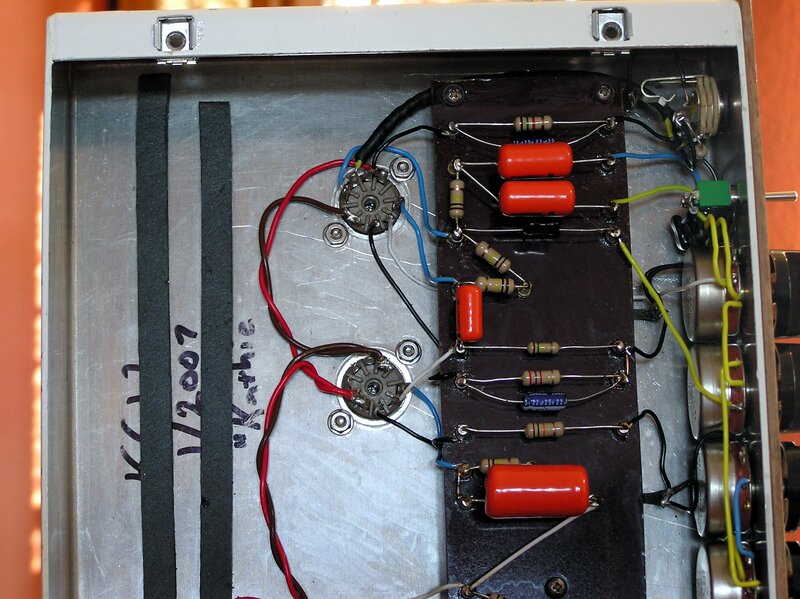 This is a DIY clone of the wonderful Trainwreck® "Express" amplifier. 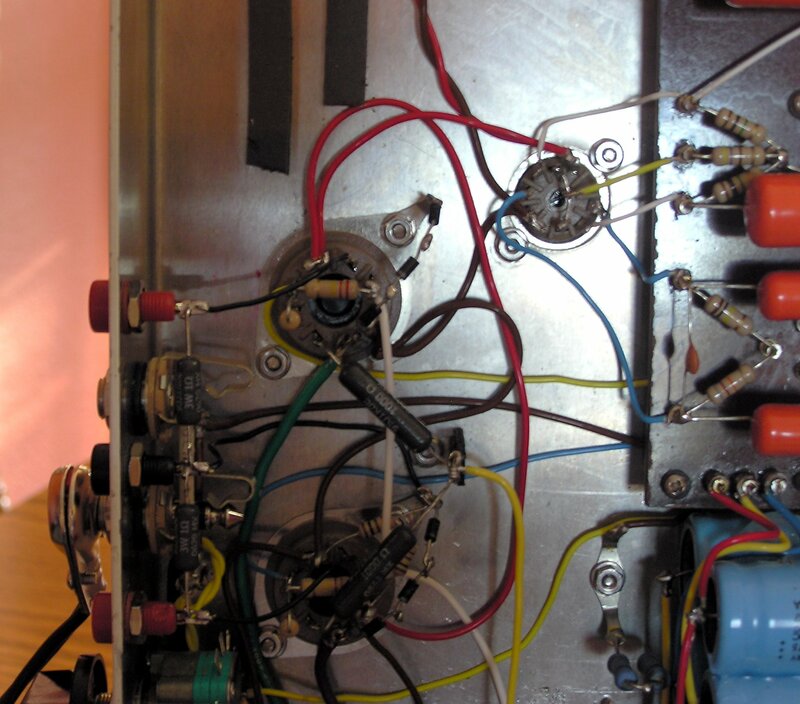 Her name is "Kathie." 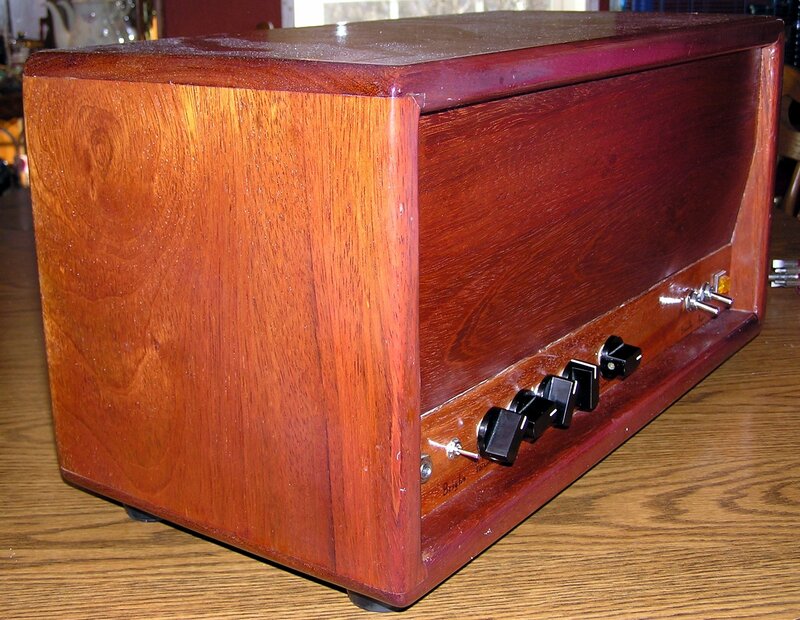 The cabinet is made of Jotoba (Brazilian Cherry) wood. 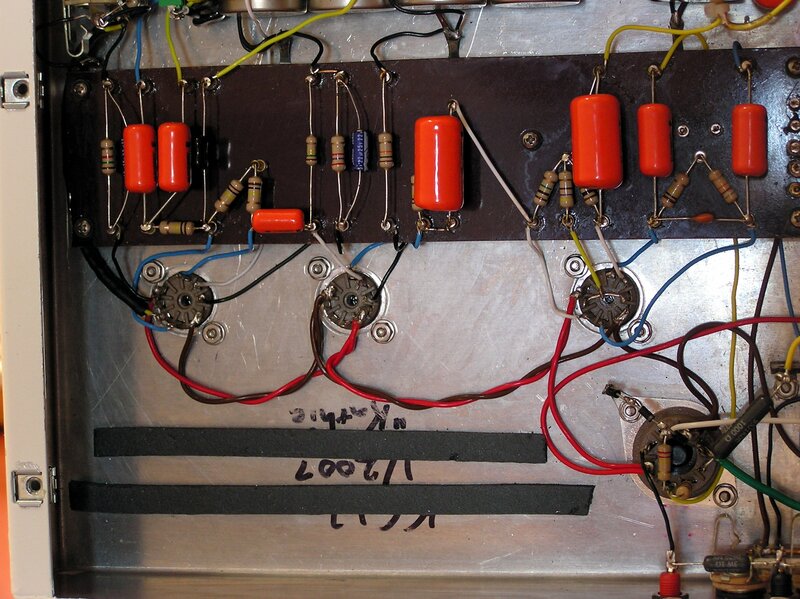 Much of the wiring and layout is the same as "Francesca." 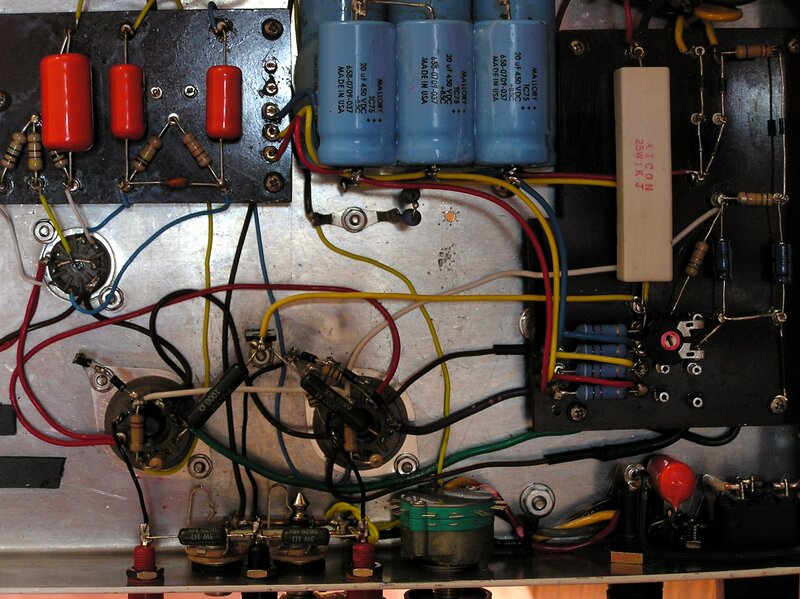 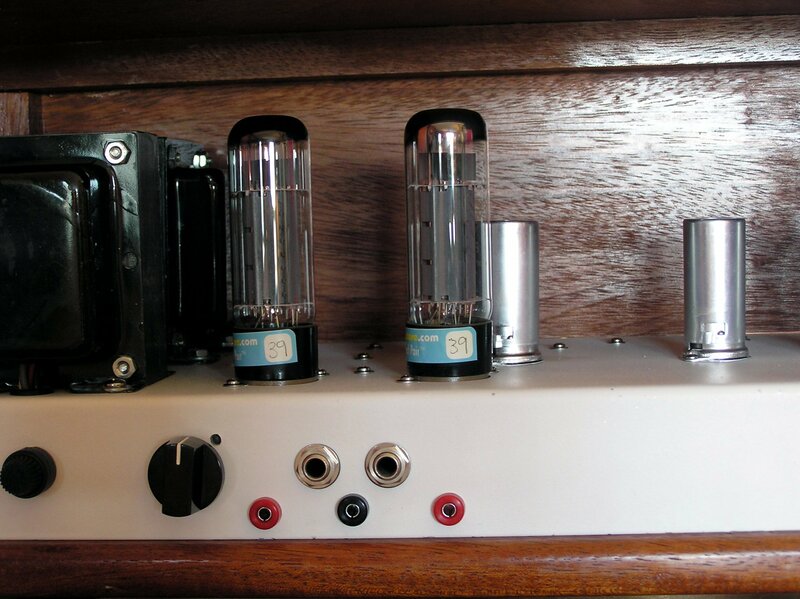 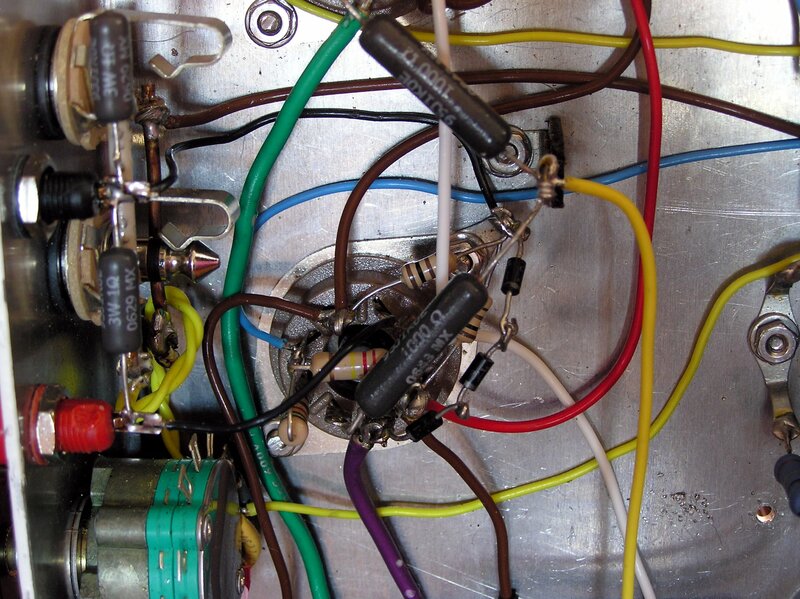 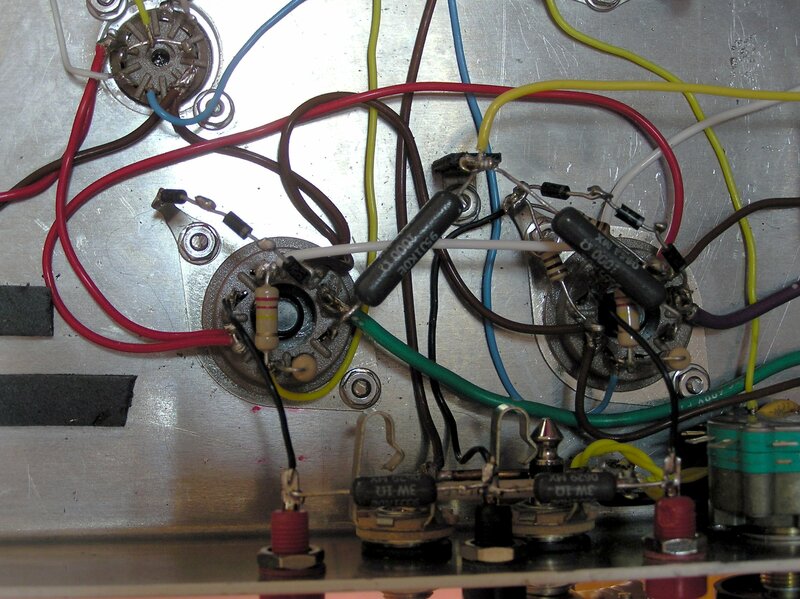 The bias resistors are mounted on the power tube sockets, and the G3 grids are connected to the raw bias supply (the "Traynor" method in "The Ultimate Tone Vol. 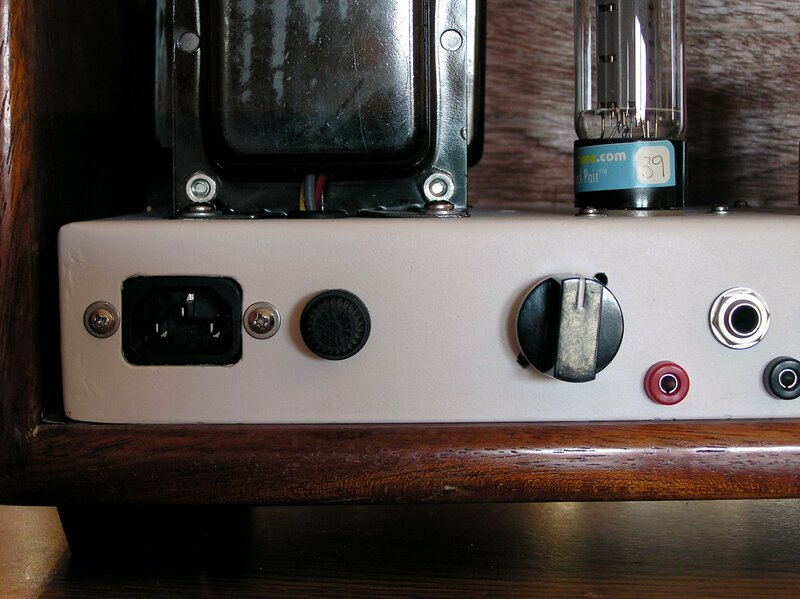 1" book). 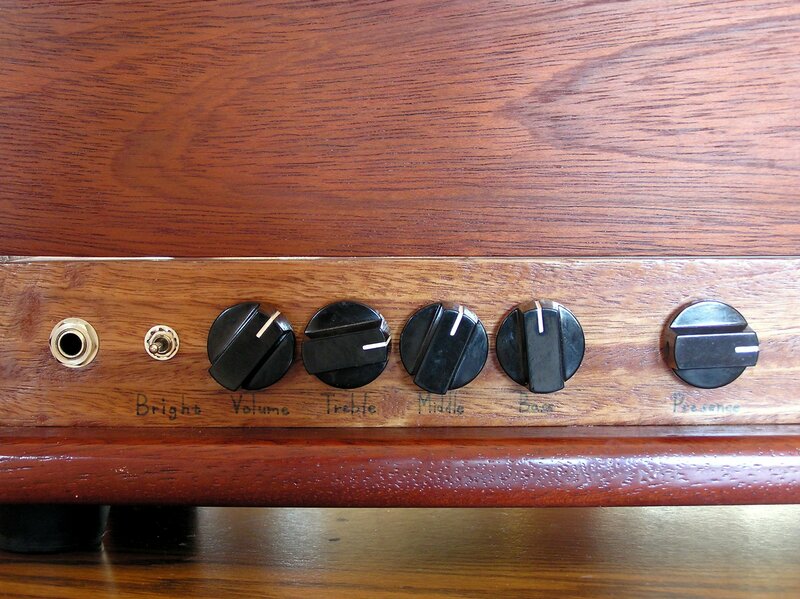 I used this grounding scheme.